Dallas Tigers-DeLaGarza 14U Major is looking for 1-2 players for the Fall/Spring season. Adam DeLaGarza will be holding private individual tryouts upon your availability at out Dallas Tigers – East (Rockwall) facility. Please contact head coach to set up at time. Getting to be that time of year! Dallas Tigers Baseball annual tryouts will be held on multiple dates based on locations. High school tryouts will be held on Saturday, Aug 5, at the Coppell tryout. See below. Format: Saturday open tryout for anyone to attend. Sunday is by invitation only. You will be notified after Saturday’s tryout if invited to participate Sunday. Sunday age group times same as Saturday. As of 10:00am Sunday, Aug 13, the Ft Worth Tryouts are still on. Location: Dallas Tigers East facility, 505 County Line Rd, Rockwall, TX 75087. This team will play in the Frisco Sunday Double Header League this fall and an end of season tournament or 2 after October 22nd. The Dallas Tigers will be forming a new 13u team this fall, coached by former college baseball player and long-time coach, Ron Patterson. Ron was an all-state selection in Arizona where he played his high school baseball. He played junior college baseball at Scottsdale CC in Scottsdale, Arizona, before earning a full scholarship to play at Baylor University. Patterson played for coach Steve Smith at Baylor, finishing his career in 1996. 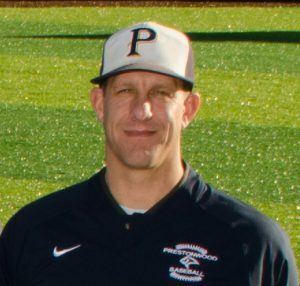 Patterson has since been a youth baseball coach for the past 10 years and is currently a varsity assistant coach at Prestonwood Christian Academy in Plano, TX. To learn more about Ron Patterson and upcoming tryouts, contact Ron at 214-538-7704. Details: Select baseball experience (high AA-AAA preferred). We are looking for kids that have a solid understanding, experience and can play multiple positions. Pitching & catching experience is a plus. Dallas Tigers Peterson team will be holding tryouts on Saturday January 21st. This will be an open try-out for any high school player that is 9th grade – 11th grade. Please wear baseball attire, turf shoes (no spikes or cleats) and bring your own baseball equipment. Dallas Tigers East 13u Nowell is looking for players. Contact Coach Teddy Nowell at coachnowelldallastigers@gmail.com or call 903-641-1338 for private tryout. Dallas Tigers 16u Toal is looking for players. Contact Coach Tanner Toal at coachtoaldallastigers@gmail.com or call 817-480-7446 for private tryout.